After suffering successive defeats, Saracens returned back to Aviva Premiership winning ways as they came off defeating their Sale Sharks counterpart with a 29-18 score line. However, Saracens were unable to come off with a try bonus point, despite touchdowns from full-back Duncan Taylor, Chris Ashton, and wing Nathan Earle. Alex Lozowoski, fly-half finished off kicking 14-points with four penalties and a conversion. A solitary try from Magnus Lund, a penalty and conversion from replacement, AJ McGinty and another penalty by Sharks captain, Will Addison saw Sale cut close to within eight points of their opponents. However, these were undone afterwards. Luke Chateris, Wales lock believes that Wales will reap the rewards from Saracens recent signing, Liam Williams. Next season will see Williams move from the Scarlets to the Aviva Premiership, after he rejected an offer to stay in Llanellion a national dual contract. And the move, which has not been confirmed by Williams yet, will see him replace Chris Ashton on the wing at the English Champions Saracens squad, even though Williams prefers to play at the full back position. Charteris said that he believes the move by Williams is a right move considering the team he would be playing for. He also believes that Wales would benefit from the experience Williams would garner from his recent signing. Charteris had been with Newport Gwent Dragons where he picked up the captaincy position, before moving in the summer of 2012 to Perpignan. He returned to the UK to join up with Bath this season, after a spell with Racing 92. The 33 year old also added that his move out of Wales, was the best thing for him as the experience is something he loves and would forever cherish. He believes while out of Wales, he was able to play more rugby and better develop himself on the pitch and he hopes Williams can do the same while with the English heavyweights. Chris Ashton’s fans might wonder about his absence from the team that went to represent England in Australia but there were good reasons for which Eddie Jones took such a decision. The winger from Saracens is revered for the defensive qualities that he exhibits on the playing field. The tour that England has embarked upon comprising of three Tests does not include him but there is no need to be alarmed. 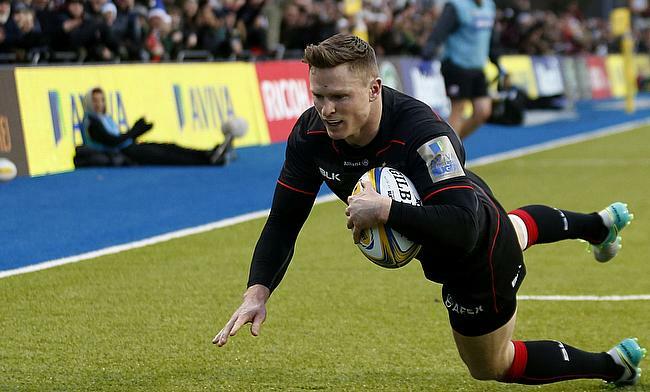 Chris Ashton can still participate in Test matches if he wants to. In the playoffs of Saracens in the Premiership semi finals he played key roles. Two tries were attempted by him against the Leicester Tigers. It definitely counted as did the efforts of the other players as well. However he might not be able to rest easy this summer even if he was not part of the team that left to tour Australia for three Tests this summer. It’s surely a gala time for the Irish rugby fans- their favorite squad has once again continued with their unbeaten Six Nations record defeating England this time which also marked the latter’s first loss in the tournament. The Irish team ran to victory with a great 19-9 win. The phenomenal Ireland rugby squad stayed on the course to replay their glory as great 6 Nations champs for the 1st time since the year 1983. The triumph matched the Irish team’s all-time great record of ten wins in a row & broke a 4-game losing trend against England. The Irish team trips to Scotland and Wales whilst England would be playing Scotland and France. 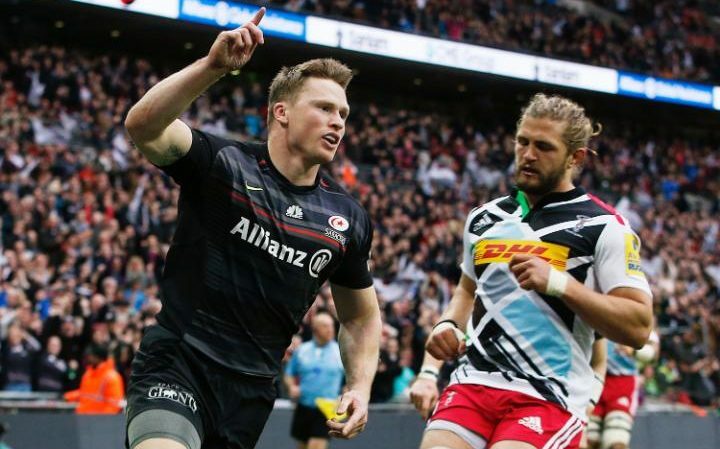 Saracens FC winger Chris Ashton has admitted that he does not expect to be a part of Stuart Lancaster’s England team for the upcoming Six Nations Championship. The 27 year old has a prolific record at international level, scoring 19 tries in just 39 appearances for the national team and he was also the star for Saracens FC as they thrashed Munster 33-10 in the European Champions Cup, scoring two tries.